WELCOME TO THE WORLD OF PFAFF! Let us introduce you to the newest and best from Pfaff. They don't call it "Icon" for nothing! Check it out below. A close watch on industry needs and trends has become increasingly important as sewing has evolved from a necessity to a form of creative expression. And this evolution is something we take very seriously. It has inspired our product development to be driven by insight, not just demand. And as a result, our products embody the innovative technology and best-in-class craftsmanship required by today’s most passionate creators — required by those who wish to stand out in a crowd. We believe the search for individuality will always be in style. Perfection starts here™. What's so different about PFAFF? Watch to find out! You are unique! Why not express that in a way that truly reflects you personality and makes you stand out? With the PFAFF Creative 1.5 sewing and embroidery machine it is easy and exciting to create one of a kind designs with a stylist twist. By using all the great advantages from the machine and the Embroidery Intro PC Software you'll see your visions come true, stitch by stitch. So, let's go spectacular!! This sewing and embroidery machine offers a range of impressive features and creative possibilities, as well as an incredible diversity of designs. Make an impact! Let one thing lead to another. Now is the ideal time to turn the ordinary into the extraordinary. 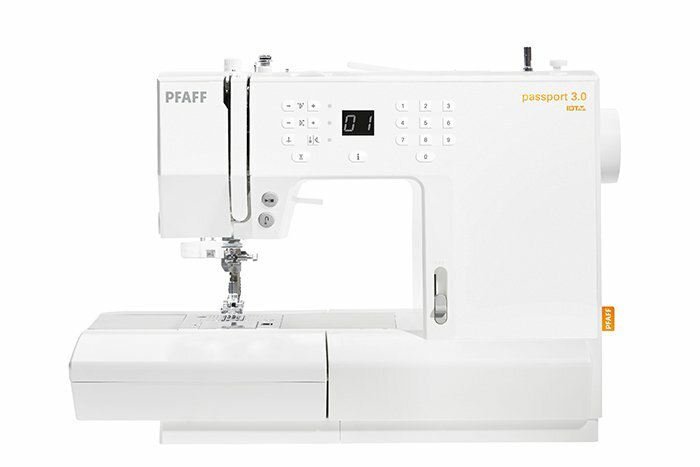 The PFAFF® sewing and embroidery machine offers a range of impressive features and creative possibilities, as well as an incredible diversity of designs. Let one thing lead to another as you combine designs and then turn them into an infinite number of stunning creations with kaleidoscope effects. 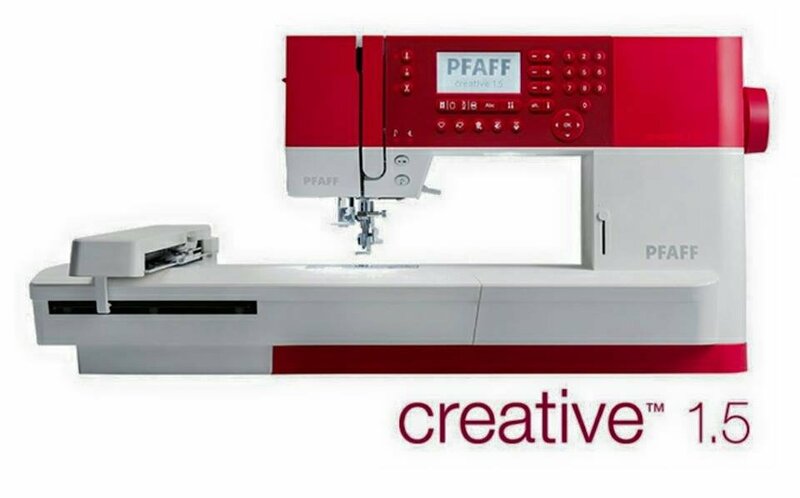 All you need to do is unleash your individuality and creativity to ignite the exclusive technology of the PFAFF® sewing and embroidery machine. Are you ready to make an impact? Experience the brilliance and clarity of the most modern technology, and more perfect results than ever before with this top-of-the-line sewing and embroidery machine. Let your imagination soar with exclusive stitch categories, such as Ribbon Stitches, Stacking Stitches and much more. Create, customize, and personalize them to make something truly distinctive. Every stitch: absolutely precise. Every seam: flawless. Every embroidery: simply extraordinary. Experience the art of sewing perfection with the ultimate sewing and embroidery machine: creative sensation™ pro. The advanced capabilities of this sewing and embroidery machine will bring out the designer in you. Wherever your imagination takes you, the results are always perfect! If you're searching for inspiration, new skills to master, and opportunities to express your own personal style. Then you need a sewing machine that meets your needs today with the potential to expand your creativity in the future. If you love embroidery and the almost limitless possibility it represents. Then, this is your perfect machine: creative™ 3.0. LED lights built right into the handles. You can control the brightness from your screen. Great when using glow in the dark threads. Encoders will stay firmly on the tracks to give you consistent stitch regulation. Gives you the highest level of sewing ease and modern technology to help you experience a new dimension of sewing. A sewing machine that offers great opportunities for professional quilting! is specially designed for small spaces, as well as going places such as classes, retreats or any sewing journey. It is your license to venture out in the world and discover new ways and new places to sew! No limits. Just freedom.